PFIT NEWS: Who’s the Street QUEEN now!? I was the first in our city to get 50 Cent‘s Street King (Oh Yeah!) from our local GNC. Here’s my vlog on this brand new exciting and unique energy drink to hit shelves! Go “Fiddy”! I just tasted StreetKing for the 1st time and I have to admit, it was pretty smooth! Most of these shooters taste like crushed aspirin in sugar water, but this was much more palatable and now I’m just waiting for it to kick in to have a KILLER workout!!! I think I just found a great way to get jacked before I “get jacked” haha! 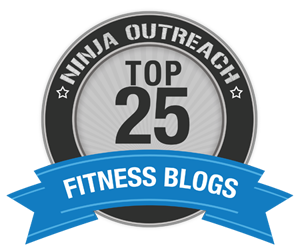 Are You FitFluential? Join the Club & Learn more about the hottest fitness leaders and brands in the business! good Just simply download Vidmate and have fun with all the buffering websites at a sole program. You can certainly not simply nice. good Even better or stream pictures on the internet download them and view offline.nice. love it, came out great! my dog tried to steal the show of my most recent vlog, too! I’m a huge coffee lover too. Going to go check this out on GNC. awe, thanks!! It was awesome! I feel alive and NOOOO jitters!! awesome…like I told MizFit I’m goin to have to give this a try!! on side note, love your necklace! Very cool. I actually saw him on The Rachel Ray show talking about this.